Wouldn’t we all like to take a turn at the time portal and re-do something? This week we had the opportunity to choose something we’d already done as part of our photo challenges and re-do it. Since we had a few moments of sunshine, I opted to get my photos done early this week rather than hoping for a better day later on. 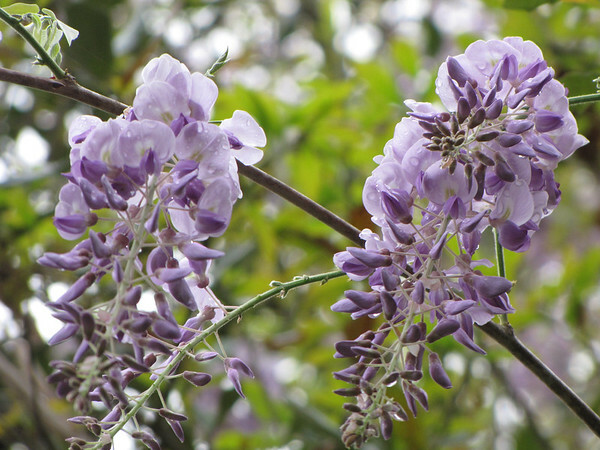 The wisteria in our yard –and all around town–is in full bloom. I decided to try selective focus again, maybe not as effectively as I could have done, but I like the end photo.